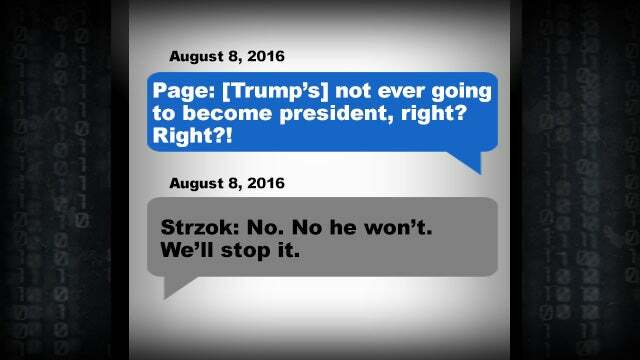 RUSH: You know, this text exchange between Lisa Page and Peter Strzok where she asks him (summarized), “Trump’s not gonna win, right? He’s not gonna become president, right? Right?” Strzok writes back, “No, no, he’s not. We’ll stop it.” It turns out that that was withheld from Congress. Today is the first day Congress has seen that text. It was turned over to the inspector general. Now, why is that? Well, the question answers itself. They didn’t release it at the height of discovery. When Strzok’s texts were discovered, it was, “Katy, bar the door! Look what we’ve found here. They’re actively working against Trump. These people were actively trying to undermine Trump.” There was a fever pitch of emotion at the time, and so Congress is requesting all this stuff, and this was not turned over to them. But it was turned over to the inspector General Horowitz. I’m sure they figured that the emotion had died down and that by the time it gets released in the IG report, we’ve been there, done that. The moment has passed. You know, there will be the usual, “My God. Look at this! They didn’t turn this over to.” Yeah, yeah, oversight, problem, whatever. But it was just an effort to obfuscate and to delay. The “we’ll stop it” text was withheld from Congress. Seems like obstructing an investigation to me. Seems like political bias. But, no, no, no, no. No bias on the part of the Comey. Who was it that was actually trying to subvert an election here? That, to me, is the question. I don’t care what this IG report says. Who really was trying to subvert the election? This text between Lisa Page and Strzok — and there are others. 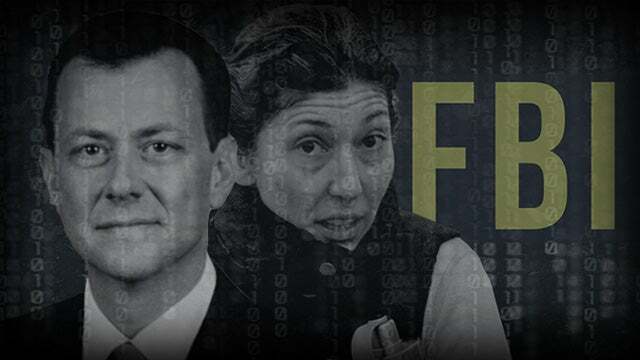 You know, the texts between them where they’re talking about — Strzok talks about — needing an “insurance policy.” You know, she’s telling him, “There’s no way this Trump guy is gonna win! He can’t win. He can’t win. There’s no way.” And he says, “Not so sure. We may need an insurance policy.” Then later in August of 2016, she’s not as confident. For some reason, she starts asking Strzok, “Wait a minute! He’s not gonna win. Tell me he’s not gonna win, okay? He can’t win, right?” Strzok replies, “No. He’s not. We’ll stop it. We need an insurance policy. We’ll stop it.” Who is it that was trying to subvert an election? Who is it that’s been trying to overturn an election? It is clear as day, and I don’t care what the IG report says. The FBI and the Department of Justice were trying to subvert the election. They were trying to limit Donald Trump’s chances at winning. In addition to getting this investigation involving the Russian aspect involved and up and running, they were doing everything they can before the election to make sure Hillary won. And then when she lost, shocking them all, they began a process that they thought in six months would succeed in forcing Donald Trump out of office, with this Russian collusion crap. So who was it really trying to subvert an election? 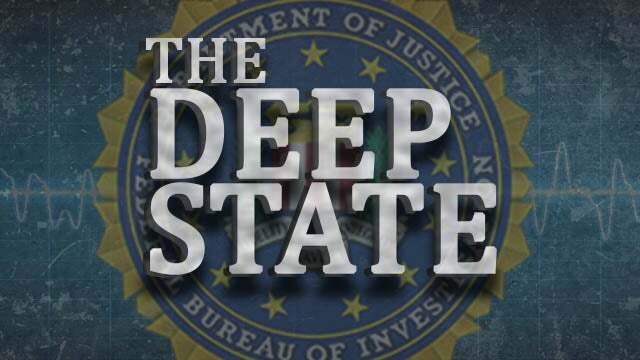 FBI, DOJ, James Comey, Peter Strzok, Lisa Page, and whoever else was in this cabal. RUSH: Jay in Detroit, you’re next. Great to have you on the EIB Network. Hello. CALLER: Rush, thanks for having me. I’ve been listening to you for 30 years, and I’m 48 years old. I started at 18. Thanks for what you’ve done for me. There’s a very important word that’s used in that text message from Strzok, and it is w-e apostrophe l-l. “We’ll stop it.” He’s not referring to himself and his girlfriend, and that’s an assumptive word, meaning there are people that have the same attitude as I have and the collective will stop it. He already knows that there’s people in the FBI that will help him stop it. That is a very important word in that text message, Rush. “No, we’ll stop it.” And he obviously is not including her, although she is part of the cabal. But she’s assuring her, “No, we’ll stop it. We’ll stop him.” Meaning, as the caller says, there’s a collective of somebody he’s talking about here. Now, we all know who it is. The people in the FBI that were working for Hillary, “We’ll stop him.” It’s abundantly clear. Glad you called. Thirty-year listener starting from 18. You know what that proves? If you’re worried about your kid going left, have ’em start listening to this program at the same time they start school or college, and this program will save ’em. RUSH: There’s a lot of curiosity about this text exchange between Lisa Page and Peter Strzok from August 6 (or maybe it’s August 8) of 2016. 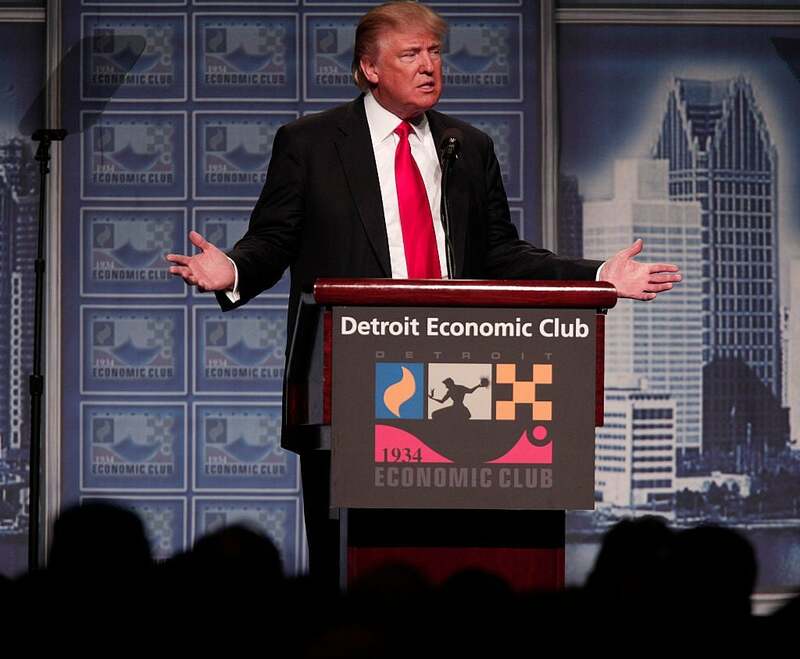 This is the text where Lisa Page… You have to know, this is the same day or very close to the day that Trump delivered a gonzo speech on the economy at the Detroit Economic Club, and it shocked everybody on the Democrat side. They were blown away. We’ve now learned that that text exchange was denied members of Congress. It was not supplied to them, and I now know how it happened. It involves graphics. I guess I can take a screenshot of this and put it on the Dittocam, which would then get it to the website. Maybe I will here at the next break. Essentially what happened in the graphic of the text messages inbox, outbox, between Strzok and Lisa Page, it shows her question: “Trump’s not gonna win you, right? Not gonna win, right?” It just omitted her reply. The reply to her question has nothing to do with her question. They just left it out. They did not redact it. They just left it out. They purposely omitted his response to her where he essentially says, “No, don’t worry. We’ll take care of it, we’ll fix it, we’ll see to that,” whatever. They just left it out! They didn’t redact it because that would have called attention to it. So when members of Congress were reviewing this after — and it was submitted to them at some point, they didn’t make anything of it because there was no reaction to her question. Well, I answered that back when we first learned of the Strzok texts. When we first learned about it, mean it was from the IG. You know, he had a preliminary release of some of these things, and that’s how we knew about the relationship between Strzok and Page and the texts that they had going back and forth. When we learned of it, the emotion was high. It was at a fever pitch, and there was this demand for more information and explanation of, “What is this and who are these people? And why’s this going on?” Well, they omit his answer. But when it’s time to furnish the information to the IG, he’s got it and he publishes it, today, in the report. The calculation had to be that the moment would have long passed — the anger, the outrage, the shock — had this original Strzok answer be then seen when these materials were submitted months ago. There would have been hell to pay. Months ago. There would have been hell to pay. Somebody looking at this would have said, “What the hell is this?” because this proves that the FBI was trying to subvert this election. That one little answer! Maybe “proves” is a bit strong if we’re talking about court, but, for crying out loud, it is crystal clear. These people were trying to subvert an election, and Peter Strzok was assuring his paramour that they would make sure that Trump didn’t win. “We’ll take care of it, we’ll fix it,” whatever. Therefore they were trying to subvert the election. Now it’s in this report. Had it been seen months ago, there would have been hell to pay — and there still might be some hell to pay. Strzok said (paraphrased), “No, he won’t. We’ll stop it. We’ll stop Trump from winning.” So there’s the answer if you’re curious how come Congress didn’t see it but it’s in the IG report. They just omitted it, they just eliminated it, they just like erased the line. No redaction. They just erased it, as though it didn’t exist. There was nothing to see! There was no indication anything had been erased, there was no indication, there was no redaction. It just wasn’t there. So it got no rise out of anybody when they first saw it.